New WWF analysis released today calls for immediate collective action to protect the species. Mexico City, Mexico – With an estimated 30 or fewer individuals remaining, the vaquita are the focus of new WWF analysis released today calling for immediate collective action to protect the species. The world’s most endangered marine mammal urgently needs a coordinated global effort to save it, and prevent irreversible damage to the Gulf of California World Heritage site so that the vaquita and other species can thrive along with local communities. Vanishing vaquita: Saving the world’s most endangered marine mammal, an analysis commissioned by WWF, sets out a critical path for securing the vaquita and comes just as a two-year ban on gillnets, identified as the single biggest threat to the species, is due to expire at the end of May. Despite some efforts by the Mexican government, to date, it has been unable to demonstrate effective enforcement of this temporary ban and this has resulted in unabated illegal gillnet fishing, causing vaquita populations to decline by 90 per cent between 2011 and 2016. 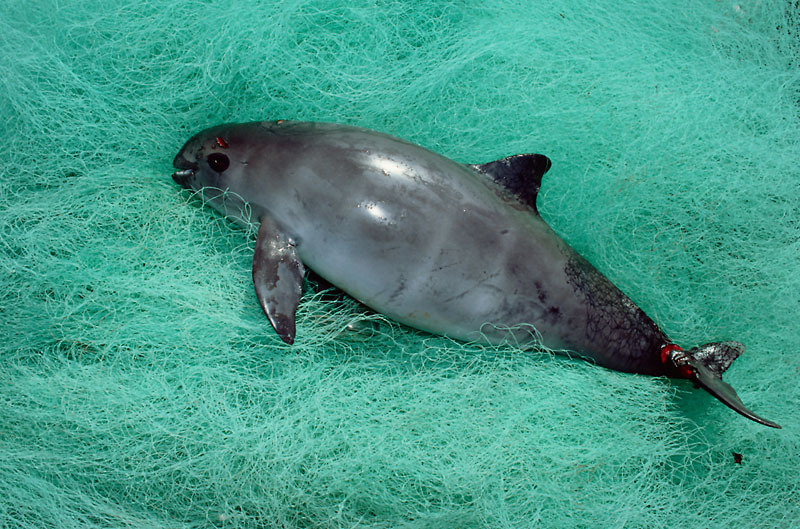 WWF is calling on the Mexican government to immediately enforce a permanent ban on all gillnets and remove all ghost nets to prevent any bycatch of vaquita, while simultaneously adopting a comprehensive strategy to provide fishing communities with existing alternative fishing gear. Known as the ‘panda of the sea’ because of its distinctive markings, the vaquita is endemic to the Upper Gulf of California. Unsustainable fishing practices and illegal wildlife trafficking driven by demand for the swim bladder of another critically endangered species endemic to the region, the totoaba, has caused its population to plummet in recent years. With the majority of totoaba swim bladders following an illegal trade route from Mexico through the United States to China, where it is considered to have medicinal properties, the WWF analysis also urges the U.S. and Chinese governments to collaborate with Mexico to intercept and halt the illegal transport and sale of totoaba products. “Collective action from the Mexican, U.S. and Chinese governments as well as the wider global community is our only hope to protect the last remaining vaquitas and the outstanding biodiversity of their habitat,” said Margaret Kinnaird, Leader, Global Wildlife Practice, WWF International. “To ensure long-term recovery of the vaquita, and the overall effectiveness of the captive-breeding programme, we must also urgently tackle the illegal wildlife trade, including the removal of gillnets - the sole threat to their survival,” said Kinnaird. At least five vaquitas are known to have been killed in gillnets since the 2016 population survey. Photos and videos for use along with copyright information are available for download here. On 9 May, WWF launched an e-action inviting individuals worldwide to write to President Enrique Pena Nieto of Mexico to urge immediate action to protect rare wildlife like the vaquita and local livelihoods in the Gulf of California World Heritage site. Over 64,500 people have joined the e-action to date, with actor and WWF-US board member Leonardo DiCaprio also supporting it on social media. Vaquita or Gulf of California Harbor porpoise (Phocoena sinus) caught in fishing nets, Baja California, Mexico.